Dog parasites affect all dogs, so learn what to look out for. 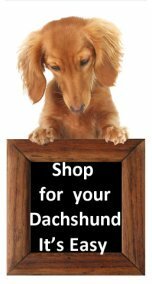 Dog Parasites - keep your Dachshund safe. What are the common dog parasites? Parasites are organisms that live inside or outside of other animals. Dogs can be seriously affected or just annoyed but never benefit from having parasites. Common dog parasites found on dog’s skin are fleas, ticks, mites and lice. Common internal parasites found in dogs are round worms, whip worms, tape worms, hook worms and heart worms. Many dogs cannot cope with parasites and become very sick sometimes death can result from parasite infestation. Prevention by having a good parasitic control program, early detection and treatment is a very important to maintain the good health of your dog. This should be a regular part of your dachshund care program. The life cycle of the flea is such that you only need one to start an infestation and cause a major irritation. If you have problems with fleas you may need to treat the environment where your dog has access too, with a suitable flea control product. Lice on dogs are different from lice on humans and they have nothing to do with cleanliness. Dog with lice are very uncomfortable as lice causes intense itching and scratching. Mites in dogs cause an itchy, red, skin infection called mange where dogs lose hair. Demodes mites live in small numbers on your dog and only cause trouble when their numbers increase. Dogs that are ill or stressed are prone to mange infection. Help prevent this infection by keeping your dog healthy and happy. These can be a real problem for dogs that are go into country environment or just walk where long grass and shrubby is present, this is where your dog is likely to pick up ticks. It is best to avoid known tick areas. If you find a tick on your dog you need to take care when removing it. These are a major problem for all dogs and is life threatening when live worms are in the heart, blood vessels and lungs. You must ensure your dog is on a preventive treatment program for heart worms. Intestinal worms are common and you need to ensure you check poop for any signs of worm and use effective worm control as required. Grooming is the best time to check your dog’s skin, for signs of irritation and also check if there are any tail-tell signs that parasites are present. Gives you all the information about natural flea killer treatments, the benefits for your dog and home, products available and best practices to ensure your dog stays flea free.